Join us for Startup Semester: It all starts here! Startup semester emphasizes hands-on venture-building, and learning the mindset and behaviors that lead to entrepreneurial success. These are core tenets of the Berkeley Method of Entrepreneurship. Learn from leading faculty in UC Berkeley's College of Engineering and from seasoned entrepreneurs. Grow your network, find your new team, and immerse yourself in the dynamic Berkeley and Silicon Valley ecosystem. Apply by March 31, 2019 for SCET global partners. Apply by May 31, 2019 for all other students. This exclusive full semester program, targeted at upper division undergraduates from multiple disciplines, will provide qualified students from around the world access to faculty and curriculum in a globally recognized entrepreneurship program. Startup Semester runs both fall and spring semesters. 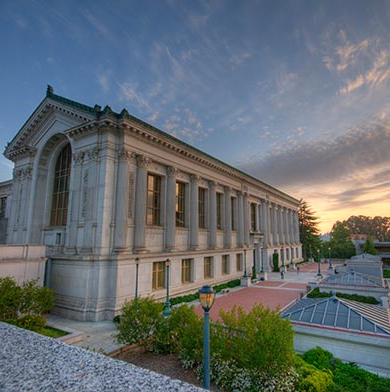 Startup Semester at Berkeley prepares students for success in the new economy. Based on the Berkeley Method of Entrepreneurship, our courses develop the mindset and behaviors required for successful new venture creation. Expect an intensive, hands-on learning journey that will provide critical skills, training, mentoring and network-building. All of the topics below are approached from an entrepreneur's perspective. Startup Semester requires students to enroll in 12 units. Students had the opportunity to participate in a Smart Cities & Mobility seminar conducted by Dr. Susan Shaheen, one of the leading transportation and smart cities researchers in the United States. Santander Group scholarship winners pose outside our SCET offices after a Business Model Innovation workshop, lead by our partner SchooLab Innovation Lab in San Francisco. At the end of each semester, we celebrate our accomplishments with a fun graduation event for all Startup Semester participants. This orientation class is exclusive to Startup Semester Students. It will provide an overview of Silicon Valley business business culture and a survey of topics uniquely related to the creation of new technology ventures. The format will include lectures, workshops and interaction with the Berkeley startup ecosystem. This lecture series recognizes the entrepreneurial vision of A. Richard Newton, Dean of UC Berkeley’s College of Engineering from 2000 to 2007, by inviting distinguished innovators to share lessons from their own successes and failures. In a competition-based format, students work in cross-discipline lean start-up teams vying to create innovative products. Teams will navigate realistic weekly challenges introduced through case studies. They will understand real-world constraints, use rapid iterative build, and validate development methods. Through frequent interaction with the sponsors and mentors, student teams will develop a working prototype and a formal presentation. *Note: Multiple sections of Challenge Lab will be offered each semester. Each section will focus on a different technology topic or theme. Students must choose one of the topics to fulfill their Core Requirement. INDENG 186: Product Management(3 units) *Spring only. Students will receive a course registration form to prioritize their elective course choices. We will make every effort to register students in their first choice of elective, however some courses limit the number of students. Students who do not meet these requirements can request further English language evaluation. Clarify all questions by contacting us. Your statement of interest (2-3 paragraphs). The statement should be up to 300 words, and include the student's goals for the semester, current academic standing, entrepreneurial and startup interests and any specific technology interests and experience. Admitted International applicants/ students should begin their visa process as soon as possible with the guidance of our staff. What are the academic requirements for Startup Semester? Students must be enrolled in an undergraduate degree program at their home university. We give preference to third and fourth year students who have a demonstrated track record of achievement. We accept students who are studying engineering, business, design, social sciences, sciences or the arts as long as they have a passion for technology entrepreneurship. What will be my status or affiliation at UC Berkeley? Your status is determined by your visa category. Startup Semester students apply and attend using the J-1 Student Non-Degree Program Visa. This is an important distinction. When communicating with our International Office, Human Resources or immigration officials, please be sure you indicate your visa status. J1 Students do NOT earn a degree at UC Berkeley, nor will they receive an official UC Berkeley transcript. Instructors will provide and evaluation of your work and you may apply for academic credit at your home university. J1 Students receive an appointment through the Visiting Scholar Program Administration (VSPA) which provides a Cal ID card, email address and access to support programs. SCET pays all VSPA fees. Why are there different costs for the same program? SCET Berkeley has a number of Global Partners (universities) to whom we extend special pricing. Otherwise there are two standard prices for Startup Semester. Non-Degree seeking visiting scholars do NOT get an official UC Berkeley transcript and attend on a J-1 visa. Students who apply to Startup Semester thru Berkeley Extension come on a F-1 visa and do receive UC Berkeley academic credit and a transcript. What are the funding requirements for Startup Semester? Startup Semester students must receive sponsorship (funding) for a minimum of 51% of the total projected cost of the 16 week / 4 month academic term. Sponsorship means that the funds must come from a source other than your personal funds or your family funds. These funds are typically scholarships or grants. Does the University provide healthcare insurance? 2- Provide proof of an existing healthcare plan that meets University requirements and apply for a waiver. Details on insurance plan requirements, cost and waiver forms may be found here. Will I receive UC Berkeley Academic credit or an official transcript for Startup Semester? Most students attend Startup Semester on a J-1 Visiting Scholar visa and do not receive an official transcript from UC Berkeley. Students electing to apply for Startup Semester thru Berkeley Extension, will receive an official transcript and UC Berkeley academic credits. Instructors for all SCET-listed courses do provide students a grade and an evaluation. Instructors for non-SCET or other audited courses may provide a grade or evaluation on a case-by-case basis. Will my home university provide me academic credit for Startup Semester courses? Most universities will provide academic credit for your course work at UC Berkeley. However, it is the student’s responsibility to obtain written approval from their home universities. Usually this requires the course description and syllabus that may be obtained from instructors. How many courses do I need to take for Startup Semester? Startup Semester students are required to take a full-time academic course load, which is equal to 12 UC Berkeley academic units. SCET requires that at least 10 of these units be earned by enrolling in SCET courses. Students may elect to take one non-SCET course elective which will have to be audited with the permission of the instructor. Auditing a course at UC Berkeley is only possible with the written permission of the instructor. Typically, instructors do not provide evaluations for students auditing courses. If you want to get academic credit from your home university for audited courses, you must explicitly ask the instructor if they will provide you with a grade or evaluation. The SCET team is happy to verify your participation in the program but we cannot grant you permission to audit non-SCET courses. This is the sole discretion of the instructor. Is student housing provided or available? Due to the number or students applying for programs and the scarcity of housing, UC Berkeley and the SCET staff cannot assist with housing requests. Student housing (on campus housing) is extremely limited, so most students will find an apartment or house off campus to share with other students. You may find several housing tips and resources here. What is the expected monthly cost of living? The University provides an estimated cost of living that is used in the official calculation of funds required for your visa application. This amount may be adjusted annually and is set for the fiscal year that begins July 1. Please reference the projected cost allowance for J-1 visa holders listed at the bottom of the page here. It is important to note that the official cost of living estimate provided by the University should be viewed as the minimum amount required for housing and other living costs. Berkeley and the surrounding Bay Area has one of the highest costs of living in the United States. Will I get a Cal ID and/or Berkeley email address? Yes, students will receive a Cal ID card and Berkeley email address after they arrive on campus and check in. The University does not issue temporary or guest email accounts for incoming students. Can I extend my visa to stay longer in the U.S.? You will be issued a visa that is valid only for the duration of the program, which aligns with the official UC Berkeley Academic Calendar. Rules allow visa holders to enter the U.S. thirty days in advance of the program start date listed on the DS2019. Any questions regarding visa extensions or visa regulations and restrictions should be directed to the experts at the Berkeley International Office. Can I get a job or work for a startup or do an internship while attending Startup Semester? No. Students attending on J-1 Visas are not allowed to work, paid or unpaid. The program is a full time program and the visa is only issued for academic purposes. If you have further questions about Startup Semester at Berkeley, please contact David Law at dlaw@berkeley.edu or Susan Giesecke at sgiesecke@berkeley.edu!